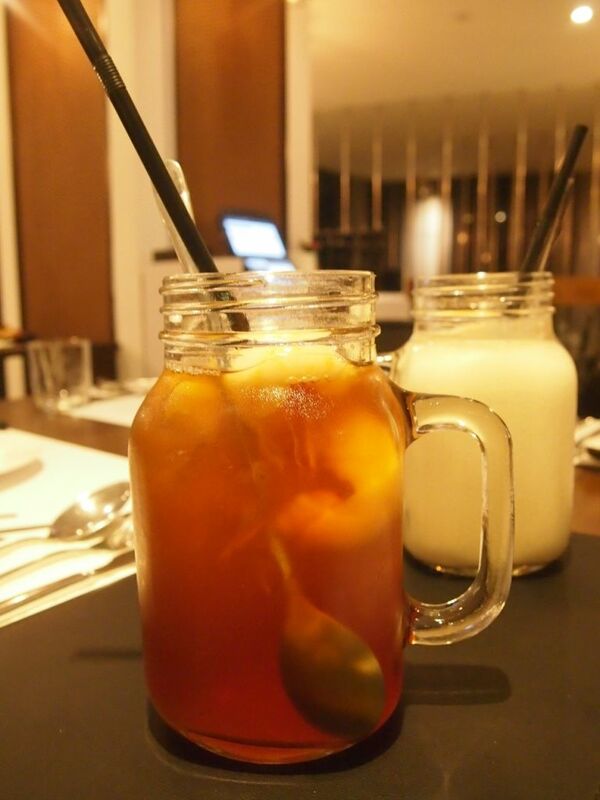 Froth has made a big move from BIG Hotel to Ascott in Raffles Place. The 140-seater, probably most known for its Taro Waffles, has not just a revamped facade, but a revamped menu too. Chef Derrick leads the kitchen team here and they're constantly looking to create dishes that juxtapose Eastern and Western flavours. The Seafood Tom Yum Risotto ($29.90) possessed a great texture and captured the tom yum flavours quite beautifully and was one of the highlights for me. The Hot & Cold Foie Gras ($23.90) features a pan-seared foie gras atop toasted butter brioche with pomegranate and truffle honey apple reduction. The chilled foie gras terrine has a centre of apple and kiwi puree which has a daunting green shade. 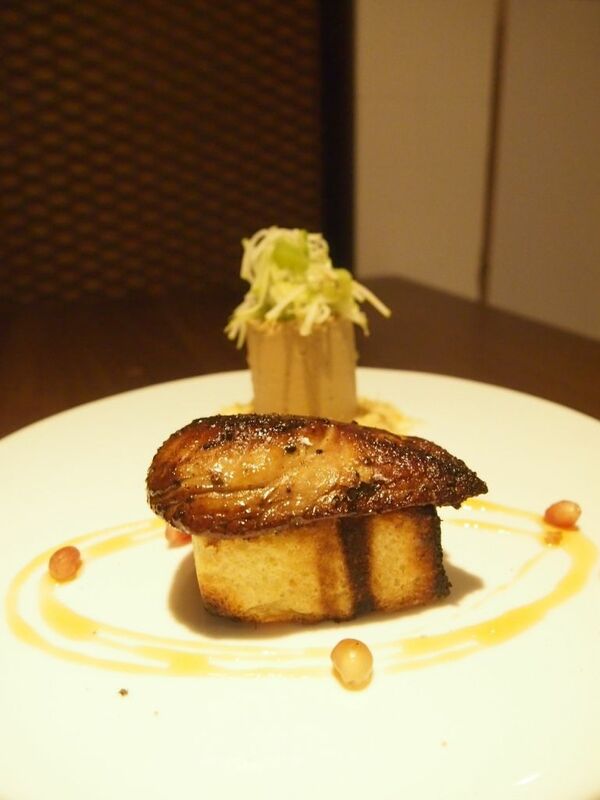 I do love my foie gras very much and I enjoyed every bit of the pan-seared foie gras. I'm not too convinced by the creative addition of a jelly like centre though in the terrine though. 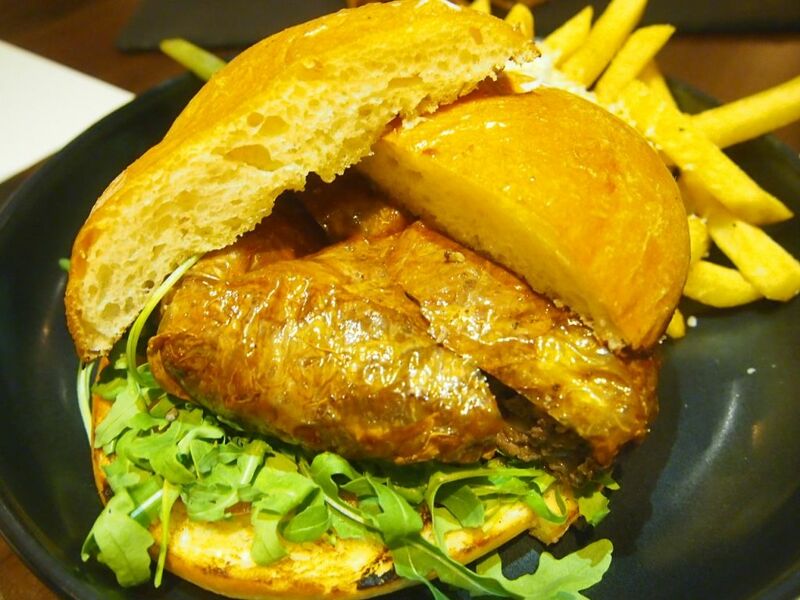 The Five Spice Wagyu Patty Burger ($34.90) sounds every bit an interesting rendition of our classic burgers. The Wagyu patty is wrapped in crispy beancurd skin and deep fried and it's no surprise if you find that it tastes like ngoh hiang. I do, however, find it a terrible waste to use wagyu in this manner. I could hardly taste the beef. 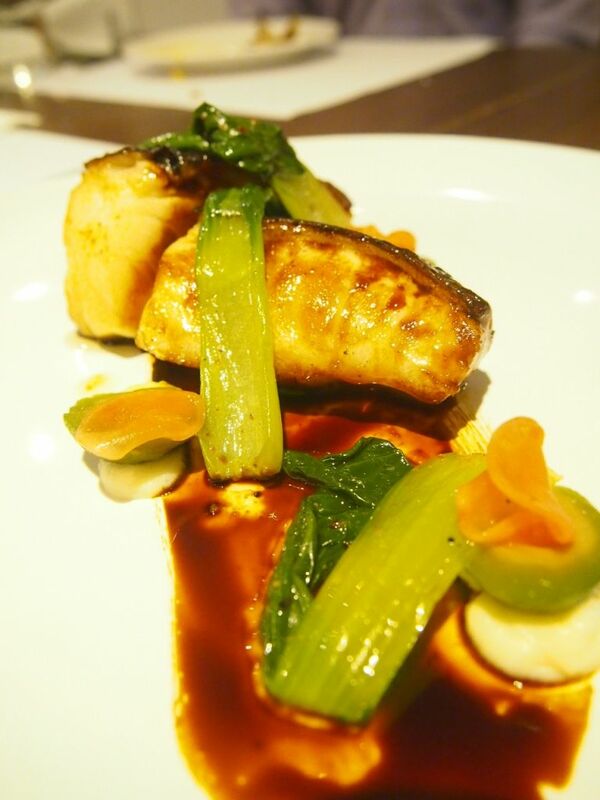 The Ponzu Soya Cod ($35.90) was meticulously prepared. First, it is placed in a 45 degree celsius water bath for fifty minutes before the skin is charred. The fish is then paired with ponzu and sesame soya glaze, wasabi edamame puree, smoked mash, baby peaches and bok choy. This was undoubtedly the star of the night. The freshness and sweetness of the cod was pretty outstanding. 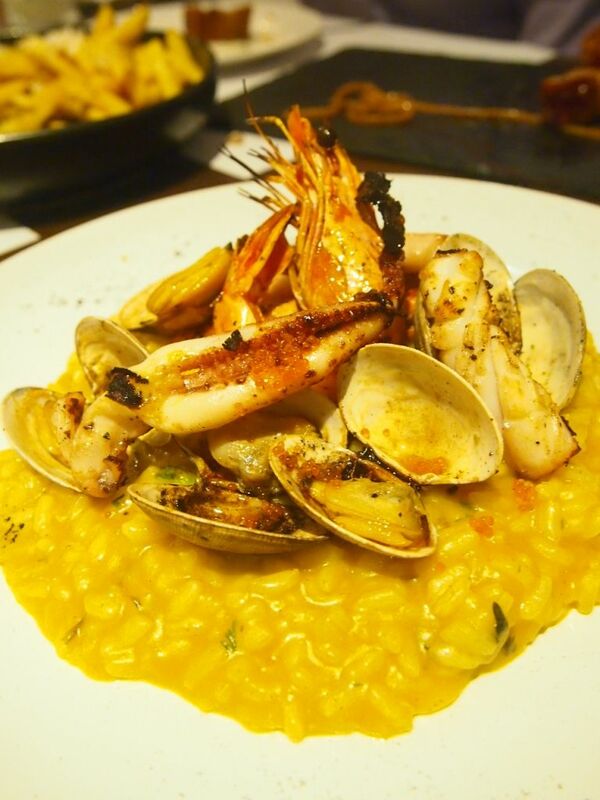 As much as it was exceptionally tasty, and a dish that would definitely capture your attention, it wasn't filling and once again, I question the steep price tag. 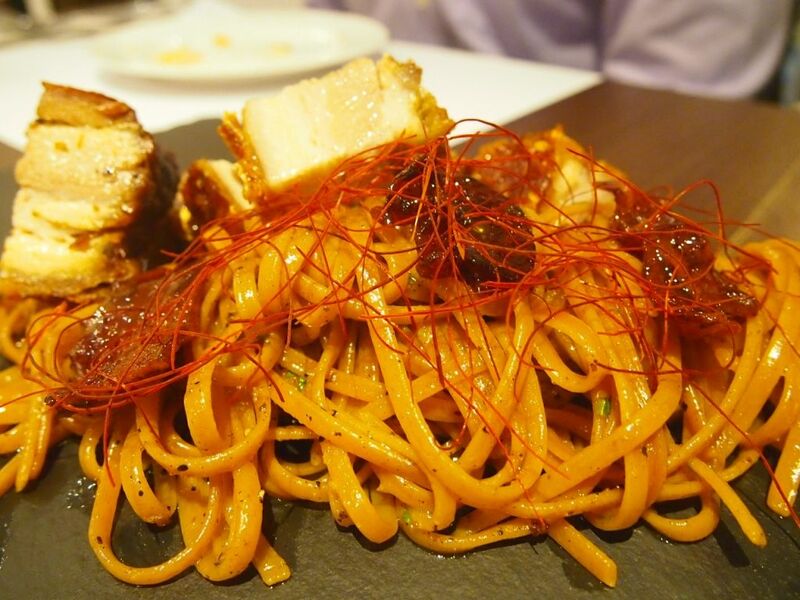 One of their signatures is the Siobak Aglio ($25.90) which sees chilli linguine come together with homemade slow roasted pork belly. The mix is then topped with saffron and honey pork bacon, which tastes like bakkwa. I can see why people love this dish but it is too spicy for me. Froth has come up with a unique French Toast Waffles ($16.90) that is first half-cooked in a waffle iron before it goes for a dip in French toast batter and a final bath in the deep fryer. 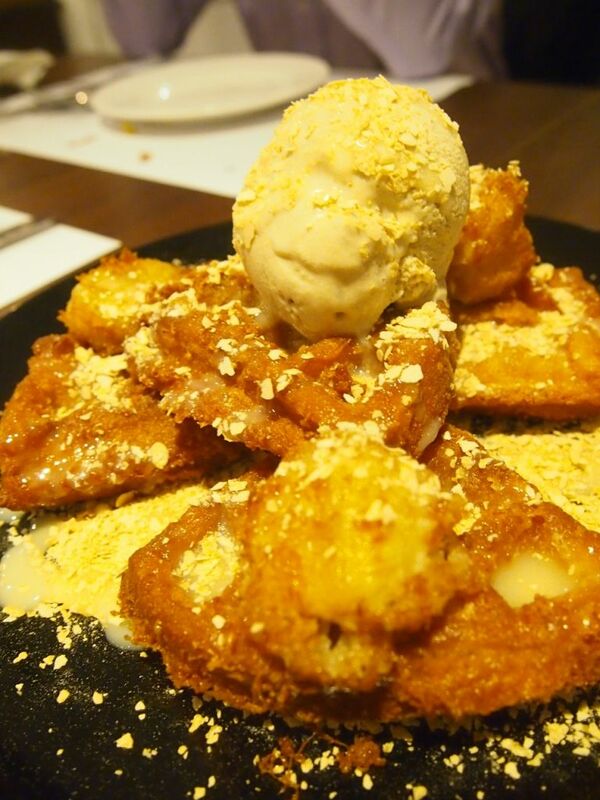 The crispy final product is then generously doused in condensed milk, joined by goreng pisang (fried bananas) and a scoop of toasted marshmellow icecream, before the entire get-up gets a confetti shower of cereal flakes. This is no doubt an innovative creation but I like my French Toast soft, like a brioche French Toast, and this unusual marriage of French toast and waffles didn't impress. Although there were more misses than hits for me, I would still love to come by for the famous Taro Waffles if I'm in the vicinity.